Whether you need to boost daily energy for fitness training or just simply want to enjoy better sleep every night, Stemulite makes sports fitness a reality. 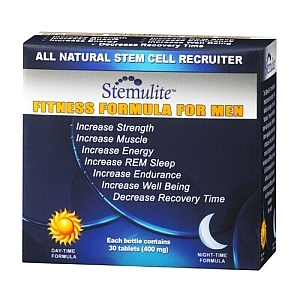 Fitness supplements such as Stemulite Fitness Formula are available in daytime and nighttime formulas to help you achieve optimal health around the clock. This is different from many fitness supplements today, which often only give you an energy boost or certain health benefits for six to twelve hours. When the "energy" runs out from these supplements, so does your body's ability to repair, heal and rest easy for the evening! Stemulite should be taken at 12-hour intervals, giving your body a great natural health booster while also enhancing your sleep at night. What is Stemulite? It is a natural supplement that increases your body's ability to produce adult stem cells from your own bone marrow. Adult stem cells are necessary for the healing process, and research is now underway to develop effective adult stem cell treatment for numerous chronic diseases including certain types of cancer. It combines healthy fatty acids, proteoglycans, enzymes, amino acids, alkaloids, antioxidants and mineral supplements to give maximum results that last. As your body produces more adult stem cells, it is able to heal more quickly from injury or severe muscle pulls, build a stronger immune system, speed up metabolism, and cleanse itself from harmful toxins. The Stemulite sports fitness product is a binary dose (AM & PM) supplement, which takes maximum advantage of your body's circadian rhythms-a phrase to describe your body's 24-hour biochemical and physiological cycle. Circadian rhythms are patterns of physical and brain activity your body follows throughout one day based on daylight and nighttime as well as other factors including work schedules, daily stress, eating habits, etc. Stemulite helps your body work, play and sleep at its best by staying in step with these circadian rhythms. If you lift weights, participate in aerobics classes, or even run around the track a few miles every day, you'll notice a significant difference in performance and energy. Stemulite gives your body more energy daily to push forward during workouts....and can help you go again the next day by reducing or eliminating morning soreness and pulls. If you desire to drop some extra pounds, Stemulite provides a boost for your metabolism as well as an increase in energy for daily exercise. If you often have trouble sleeping due to aches and pains or insomnia, Stemulite promotes healthier, more restful sleep each night. While getting optimal sleep, your body can do its normal "self-repair" work without interruption. Better sleep at night means better performance for the following day...no matter what tasks you may face! Many sports athletes, body builders and fitness trainers use Stemulite to help speed the healing process and give more energy throughout the day. But even if you're not physically active, Stemulite can help you rest better, lose weight and enjoy a number of health benefits, naturally. With this sports fitness supplement, your body won't have to go through a roller coaster ride of feeling healthy/unhealthy at certain times of the day. You can function at your best every day, all day! Stemulite Fitness Formula is the all natural sports fitness supplement designed for men and women at any level of performance or lifestyle. Sports fitness is achieved by regular use of the daytime and nighttime formulas of Stemulite along with your regular diet and exercise routine. You’ll enjoy increased energy, endurance and strength, plus better sleep and a heightened libido. 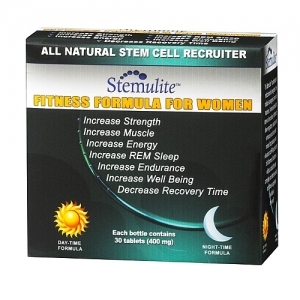 Stemulite Fitness Formula works with the body's natural rhythms to provide the around-the-clock help your body needs to perform at its best including promoting the kind of safe, restful sleep that gets you ready for the day ahead. When does the body do all of it's repair? While sleeping! Doesn't it stand to reason that you should be giving your body what it needs while the repair process is underway? Stemulite Fitness Formula comes in a binary pair with both daytime and nighttime formulas to truly give you a sports fitness supplement that helps you achieve maximum results when active an at rest. Stemulite Fitness Formula, The Ultimate Sports Fitness Supplement! Welcome to the new website and our user friendly system for communication. I would like to invite you all to post your comments or questions here, all messages will get a response from us or you can simply communicate amongst yourselves. I very much look forward to some lively exchanges! I have taken many fitness supplements but none of them have the impact like Stemulite Fitness Formula. My sleep has improved 100% and I am noticing a quicker recovery time from difficult workouts. This product is great! How many doses included in each order? How long will one order last? I noticed pricing, but can't enlarge the picture to see how many capsules are included in a packet? Will it last 30 days if I order for $49.99? This information would be helpful where you have the products listed for those of us on a tight budget. Typically you take one cap in the morning of the daytime formula and one at night of the nighttime formula. If you are over 220 lbs and have a very heavy workout schedule you will then need to take 2 and 2, making it a 15 day supply. Most people are good with one and one. Thanks Matt for responding so soon. I weight 280 (female) and stay at my computer most of the day. I do not have a current workout routine, but would like to start walking some to try and lose weight. 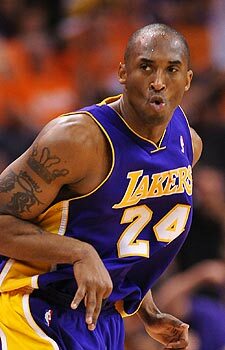 Then maybe my energy will increase for more strenuous activities. Do you suggest taking 2 at morning and 2 at night even though I don't have a workout routine yet? I also suffer from severe sleep apnea. I noticed it is supposed to help with sleep, but I have a problem already and use the bi-pap machine/mask to help with the apnea. I've had the machine for about 2 years. Will this affect my ability to take Stemulite? I will not stop using the machine unless I get retested one day (if I can lose a lot of weight). When I was about 100 pounds smaller I never had trouble sleeping. If you are not working out at all I would suggest one and one. Just be consistent every morning and night. We have many, many people sing the praises of Stemulite for it's sleep benefits but we can not give any kind of medical advice. I suggest giving it a shot, and if after 30 days you do not see results we will refund your money. One more thing, you may want to consider taking the mens formula to start off, not necessary, just a suggestion. I tried stemulite last year for the first time reluctantly. I know you can't make any definite claims about the formula's ability to bring about deeper recovery through sleep...but for me that was absolutely true and it was noticeable after day 2! I am 42 year old male and pretty fit, but initially taking the formula, other than a more restful sleep, I didn't notice any significant endurance or performance gains. Recently re-ordered to see if the second time around I experience the other benefits of the formula.